October 20, 2016  The National Zoo's giant pandas are on loan from China, and the agreement requires that any pandas born in D.C. be sent to China before they turn 4. It'll soon be time for Bao Bao to make the journey. May 18, 2016  Chinese newspapers have reported that 11-year-old Tuan Tuan died of distemper. 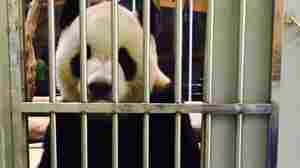 Not so, the Taipei Zoo says — releasing photos of the panda, complete with recent newspapers, as evidence. September 25, 2015  The name was chosen by first lady Michelle Obama and China's first lady, Madame Peng Liyuan. It was unveiled at a ceremony at the Smithsonian National Zoo in Washington, D.C.
July 28, 2015  Jia Jia, who lives at a Hong Kong amusement park, became the oldest panda ever living in captivity and the oldest panda currently living in captivity. 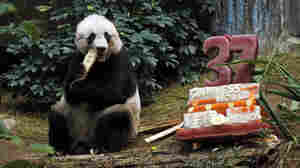 In human terms, Jia Jia would be more than 100. 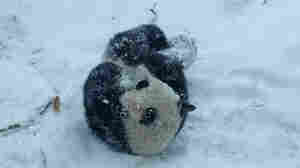 January 6, 2015  Because life isn't all political drama and misdeeds, we bring you a video of the young panda Bao Bao frolicking in the snow at the National Zoo in Washington, D.C.
December 1, 2013  The cub is 100 days old today, which is when pandas are traditionally given a name. 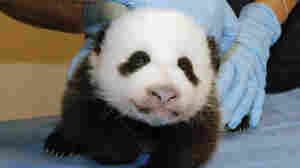 The name Bao Bao, which means precious or treasure, was chosen by the masses, who picked between five names. November 14, 2013  NPR ran five stores on the giant pandas in Washington's National Zoo during its coverage of last month's government shutdown. It then ran a sixth story on them last week. What gives? Does anyone in the rest of the country really care about the capital's pandas? An NPR editor responds. November 6, 2013  The Smithsonian's National Zoo has proposed five possible names for the female cub born this summer. Voting is already underway. Post-Shutdown Palate Cleanser: Panda Cam Is Back! October 17, 2013  Since the shutdown, the eight-week-old cub at the National Zoo has put on 2 pounds and opened both eyes. September 5, 2013  It's taken about two weeks for tests to confirm the cub's gender. She was born Aug. 23 had is said to have a healthy, "fat little belly." As for her name, that won't be chosen until around Thanksgiving. 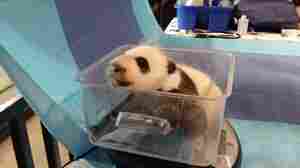 August 25, 2013  Keepers at the Smithsonian National Zoo, who were elated to report Friday that giant panda Mei Xiang gave birth to a cub, added a sad note Saturday with the news of a second cub, which was stillborn. 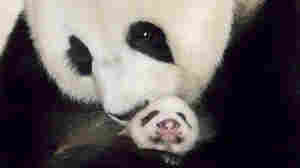 July 16, 2013  Lun Lun, a 15-year-old giant panda, gave birth to twins at Zoo Atlanta. 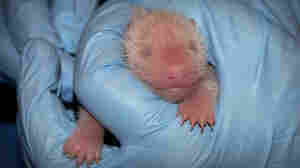 It is the first time twin pandas have been born in the U.S. since 1987. May 10, 2013  The citizens of Thailand are breathing a sigh of relief, after a breakthrough moment in panda relations was reached with China Friday. 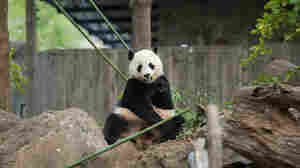 After much negotiation, Lin Ping, a female giant panda who became a reality TV star after being born in Thailand's Chiang Mai Zoo, will be allowed to stay in Thailand for 15 years. February 19, 2013  Also: What the royal family and panda bears have in common; Ben Percy dons a pregnancy suit; and classicist Mary Beard wards off online attackers. 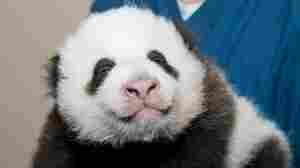 Agreed, Baby Pandas Are Cute. But Why? 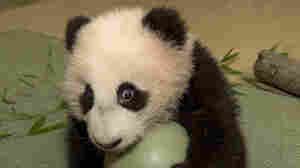 January 10, 2013  Xiao Liwu made his debut at the San Diego Zoo. As fans crowded around, hoping to catch a glimpse of the giant panda cub, we asked the question that perhaps needs no asking. Scientists offer clues.